Michael Paul Miller, MD is a Board Certified Ophthalmologist whose practice focus is comprehensive ophthalmology with a special interest in cataracts and glaucoma. 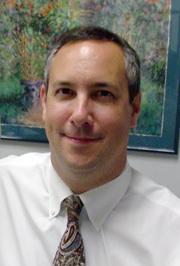 Dr. Miller was born in Glendale, California and grew up in La Crescenta where he attended Crescenta Valley High School. He was an undergraduate at the University of California at Berkeley where he graduated with honors. He earned his medical degree at the University of Southern California School of Medicine where he also graduated with honors. He then completed his internship at the Harbor/UCLA Medical Center. His residency in ophthalmology was done at the Bascom Palmer Eye Institute in Miami, Florida. Bascom Palmer has been rated by US News and World Report as the number one eye institute in the country. Dr. Miller has been practicing in Pasadena and serving the eye care needs of the residents of the San Gabriel Valley for 12 years. During that time he has served as the Chief of Ophthalmology at Huntington Memorial Hospital in Pasadena. Dr. Miller is certified by the American Board of Ophthalmology. He is a member of the American Academy of Ophthalmology, the California Medical Association, the Los Angeles County Medical Association, and the California Alumni Association.